In the heart of the Judean Mountains, the Neve Ilan Hotel is located a short drive from Jerusalem and half an hour from Tel Aviv. Its enchanting landscape is perfect for a family holiday or a romantic getaway. Restaurants, wineries, olive presses, monasteries, marked hiking trails, parks, biking trails and natural groves - are just part of what the area has to offer attractions. The hotel has 160 spacious and well equipped rooms, a swimming pool,Sports fields, a convenience store, self-propelled corners and bicycles. All these are seasoned with a rich food experience and clear mountain air like wine, all seasons. As part of the new concept, the hotel launched a suite of garden rooms that go out to a spice garden decorated with hammocks and spacious seating areas, a picturesque gazebo in the garden, charming corners and an upgraded and rich menu. And ... new and exclusive! A whole world of children! 350 square meters of theme game rooms for all ages (2-16) - from the corner of the Gymboree to the little ones, the "Build It Yourself" corner, the transportation corner, "mini"Supermarkets, computer games and consoles, a cinema room and more ... Along with the children's complex, an innovative water attraction was also launched, with fountains that merge with a giant slide. In the category of hotels with very good tourism in Israel. * Reception of the rooms on the Sabbath or holidays is possible two hours after the end of the Sabbath / holiday Hotel facilities can also be used before receiving the rooms. Standard RoomThe standard rooms are located on the first and second floors of the hotel. 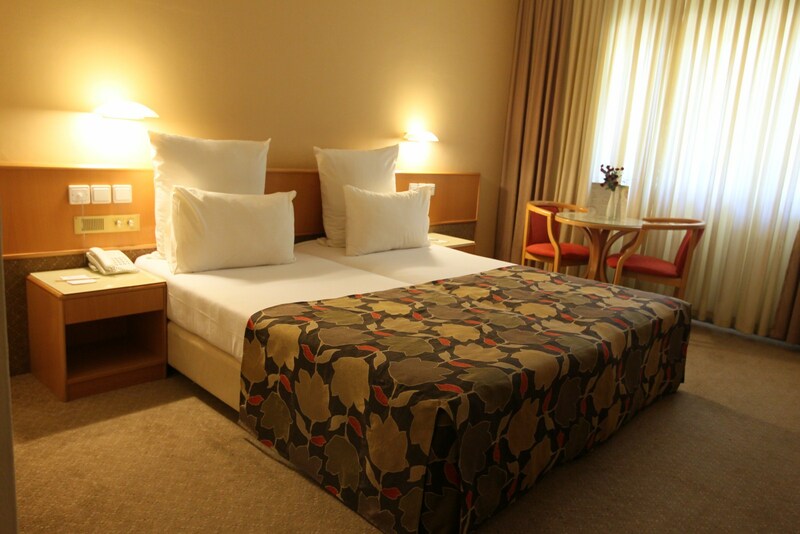 The standard rooms are spacious and suitable for up to four guests. All rooms are appointed with two adjoining single beds, a bath and toilet, air conditioning, radio, satellite TV, WiFi Internet access (additional fee applies), a coffee/tea maker, and a mini-bar. Jacuzzi RoomFour luxurious Jacuzzi rooms await you on the fourth floor of the Neve Ilan hotel, suitable for couples only. All rooms have a large panoramic window overlooking the breathtaking views of the Judean mountains. The hot tub in the corner is an extra indulgence, beyond the king size bed, bathroom, shower, and toilet, hairdryer, satellite TV, WiFi (additional fee applies), radio, air conditioning, refrigerator, coffee/tea maker, and mini-bar. 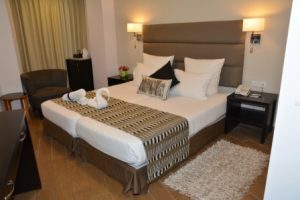 Garden RoomThe hotel offers 12 luxurious garden rooms connecting you with nature and creating a perfect blend of the indoors and outdoors. The charming garden rooms open to an intimate herb-scented vegetable garden. Hammocks, swings and garden furniture overlooking the magnificent view complete the ambiance. The rooms are appointed with a double bed and are suitable for a couple with up to one child. The rooms offer satellite TV, radio, air conditioning, a bathroom and WiFi (additional fee applies). Superior RoomThe hotel offers 36 superior rooms on the top fourth floor. 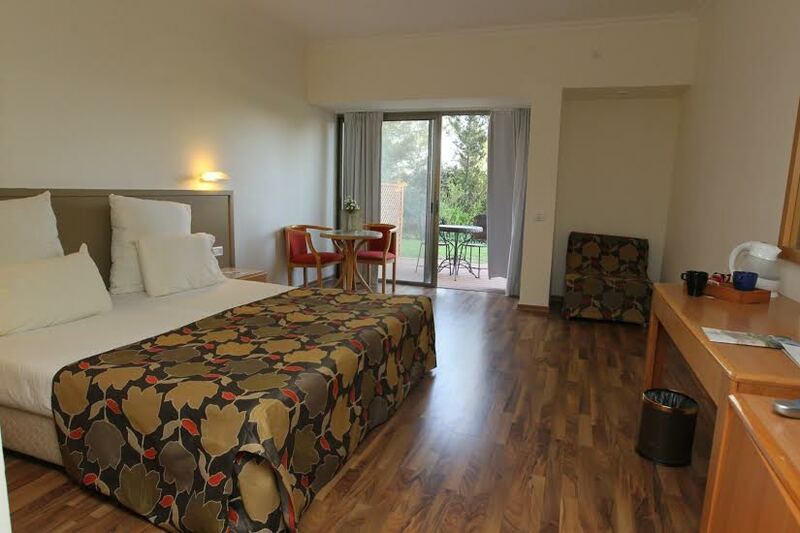 The charming Neve Ilan superior rooms are suitable for up to four guests. All rooms have a panoramic view of the Judean mountains, a queen size bed, a bath and toilet, a hairdryer, air conditioning, radio, satellite TV, WiFi (additional fee applies), a coffee/tea maker, and a mini-bar. Delax RoomThe standard rooms are located on the first and second floors of the hotel. 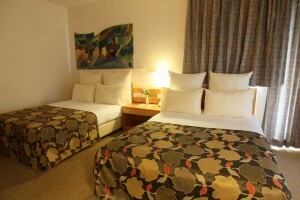 The standard rooms are spacious and suitable for up to four guests. All rooms are appointed with two adjoining single beds, a bath and toilet, air conditioning, radio, satellite TV, WiFi Internet access (additional fee applies), a coffee/tea maker, and a mini-bar.